The Unwine'd event is Oregon's biggest consumer tasting event ever and will be hosted at the Left Bank Annex just across the bridge from downtown Portland on, believe it or not the left bank of the Willamette. The event will of course be about wine tasting, and not just Pinot Noir folks, but it offers guests an opportunity to explore the varied bounty of Oregon from the Walla Walla Valley, yes, in Oregon to the Rogue Valley at the state's southern end. In addition to the variety of wines, there will be food served up by some of the best culinarians that PDX and the Willamette Valley have to offer. One of the knocks on Oregon Pinot Noir is the price. And while Willamette Valley Pinot can command some higher price points, there are still some very nice value priced Cuvees, or blends that allow winemakers the opportunity to sometimes blend some of the Valley's most prized fruit with some fruit that that they've source from more affordable sites . While I've tasted a fair number of Oregon Pinots falling into the under $20 category and will admit that sometimes the blends and larger production seem to blur the Oregonian fresh fruit and earthen character right out of the wines the Wine by Joe Pinot Noir, has stood out as a fantastic foray into what makes Pinot from this place so fantastic. 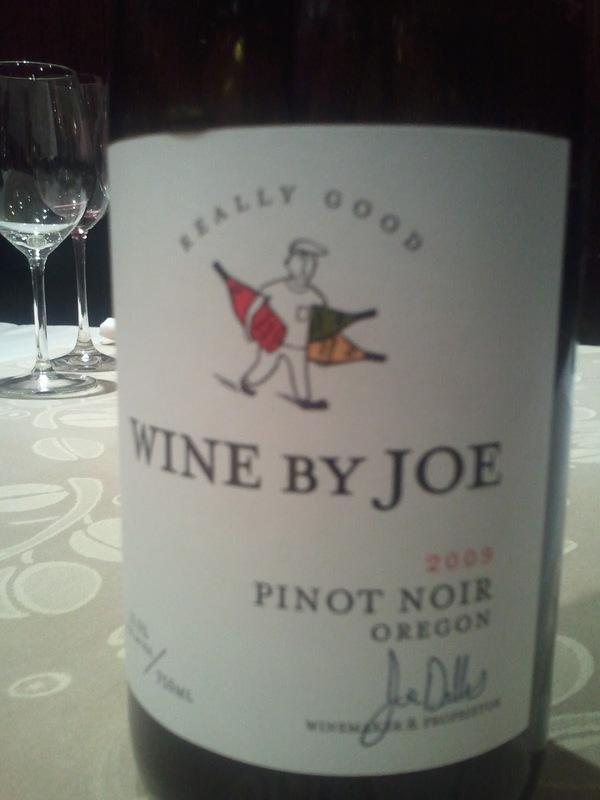 For somewhere in the $15 neighborhood the Wine by Joe Pinot Noir 2009 grants you admission to fantastic acidity and balance and a wine that delivers, or more to the point over delivers on fruit driven aromatics as well as clove and pepper. The bramble berries so true to Oregon come pouring through on the palate, black berries and raspberries along with a touch of baking spice. The wine though is sophisticated and brings out complexity and layers of flavor and in some ways a kind of confusion. The kind of confusion where you say, "Really? We got all this for only $15?" The good kind.